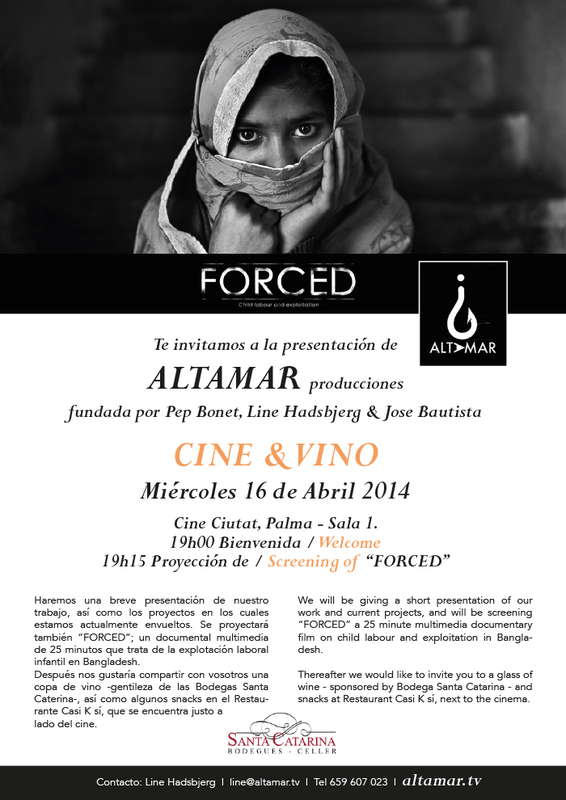 ALTAMAR films is proud to announce its official presentation & screening of “FORCED” in Cine Ciutat, Sala 1, Palma de Mallorca, next 16th of April, 19:00 . We will be giving a short presentation of our work and current projects, and will be screening “FORCED” a 25 minute multimedia documentary film on child labour and exploitation in Bangladesh. Thereafter we would like to invite you to a glass of wine – sponsored by Bodega Santa Catarina – and snacks at Restaurant Casi K sí, next to the cinema. You can download the invitation flyer here.